Students check the day’s schedule. 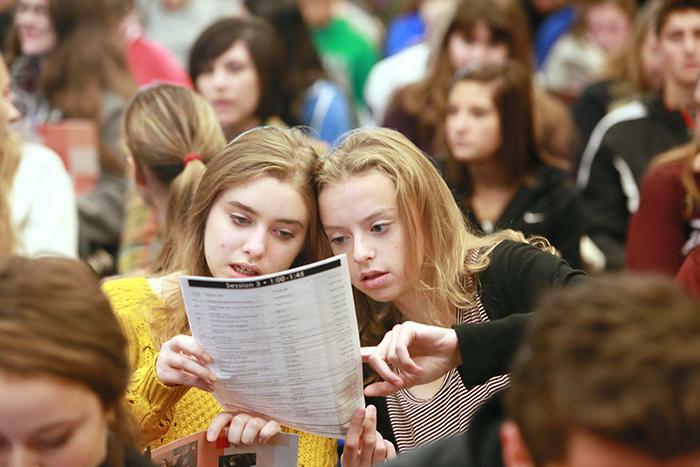 At the annual KEMPA Fall Conference, high school students and their advisers can choose from nearly 80 information sessions. Organized into 3 separate 45 minute sessions, sessions cover a very wide range of topics of interest to students and advisers engaged in producing media and will assist students in learning the latest in trends and techniques of media production. Conference presenters are a mix of professional journalists, media professionals, high school journalism teachers and publication advisers. Keynote speakers frequently present throughout the day. See the flyer for more information specific to the current featured sessions. Students will also have the opportunity to engage with other student media programs from throughout the region. In 2017, nearly 1,000 students from Wisconsin and Illinois attended the KEMPA Fall Conference. A lunch break between sessions two and three also functions as KEMPA’s annual meeting attended by advisers and presenters. Annual awards recognize outstanding contributions from advisers and professionals to high school journalism. Students are on their own for lunch at the university food courts or nearby local restaurants. 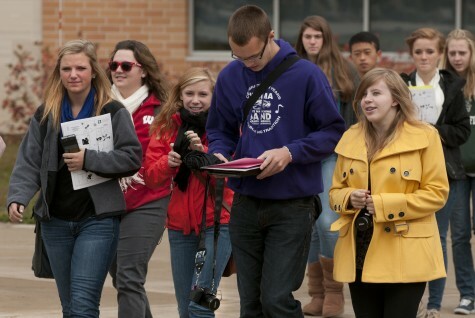 The Fall Conference is always held on the campus of the University of Wisconsin-Whitewater on a Friday in mid-October. This year it will be on Oct. 12. For the location and direction to the UW-W campus, click here.